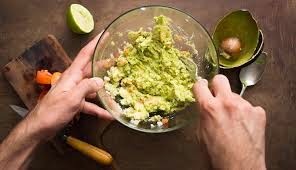 Here's one of the worlds best healthy avocado recipes.This recipe for guacamole is not only gluten free,but its so yummy good. you can serve with gluten free chips or crackers. I also have a recipe for a healthy gluten free Spanish rice HERE ! 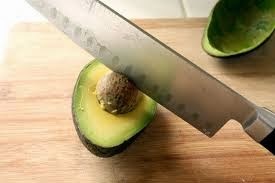 In a medium bowl, mash the avocados with a fork. Mash as little or as much as you like. Fold in the the remaining ingredients and mix well. Here's one of the world’s best and healthy guacamole recipes. This recipe for is not only gluten free, but its so yummy—you might eat the entire bowl of this avocado goodness. You can serve this with gluten free chips or crackers. 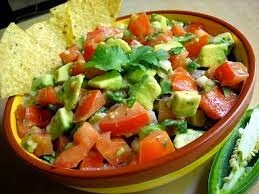 Perfect for parties, or as a wonderful side dish to Mexican dishes or even topped on nachos. There is also a recipe for a healthy gluten free Spanish rice listed here so please take a look. If you got a worlds best avocato recipe I would love to hear about it! Whenever we go out eat--especially at Mexican restaurants--I am the one who eats all of the guacamole and chips because I really love guacamole. 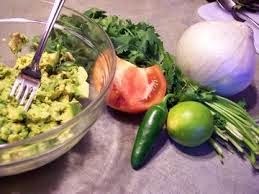 I am so delighted that you shared your healthy and delectable guacamole recipe with us on the Plant-based Potluck Party. I appreciate it. I'm pinning and sharing. Thanks, Its really yummy with onion so i hope you like it! Thanks for come over to check the recipe out!